Millions of children United States, and millions more worldwide, are plagued with Attention Deficit Hyperactivity Disorder (ADHD). Regarded by most medical professionals, psychiatrists, and psychologists – not to mention thousands of researchers all over the world – as one of the most challenging mental disorders known to man, ADHD can be tremendously debilitating, especially in the earlier years of childhood development. For this reason (and many more), millions and millions of dollars are spent annually on ADHD research. And while we better understand this condition today than we ever have in the past, the truth of the matter is there is still much we do not know. This makes the treatment of ADHD a real challenge. Thankfully, the treatment solutions that we do have available have proven to be quite viable and effective when used appropriately. ADHD treatment options are numerous, and give parents the opportunity to pick and choose the treatment solutions that they feel most comfortable moving forward with. If you find yourself in the unenviable position of having to pick and choose the treatment for ADHD that your child will have to proceed forward with, hopefully you’ll find some inside information in this quick guide below to be useful. This is anything but a simple or straightforward process, and you (and your child) are going to be in for a long and bumpy road. Attention Deficit Disorder (ADD) and ADHD are similar in that they present many of the same symptoms that place roadblocks in front of children and adults that are otherwise just looking to lead happy and healthy lifestyles. The major difference between ADD and ADHD is the “hyperactivity” designation in ADHD, a designation that describes the hyperactive symptoms the children present when they are struggling with this particular version of the disorder. Hyperactivity can be identified through a variety of different diagnostic tests, but most of them include psychotherapy, guided standard testing with the help of a psychiatrist or psychologist, and a variety of other tests designed specifically to determine whether or not your child is dealing with ADD or ADHD – or just simply “going through the motions” of everyday childhood development. ADHD presents itself in a variety of different ways across the board, and no two children are going to present the exact same symptoms (or amalgamation of symptoms), which really makes a proper diagnosis a significant challenge. Some children are going to have difficulty focusing while twitching or fidgeting if they are asked to sit still for too long of a period of time, while others are going to deal with “mental fogginess” and a rambunctious kind of attitude. Others still may daydream constantly and have an inability to focus even when presented with a very clear and concise set of directions. As we mentioned above, a proper diagnosis is incredibly challenging to reach without multiple testing protocols. But once you receive a positive ADHD diagnosis (from a professional that understands exactly how to diagnose ADHD in children), you’ll be able to move forward with treatment options and protocols that will help your child lead a happy, healthy, and well-adjusted lifestyle. Here are just some of those treatment options available. Medical interventions through prescription drugs are probably the most popular solutions available. 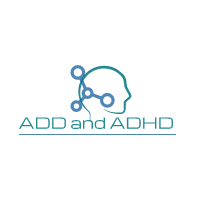 Of all the ADHD treatment solutions available today, the overwhelming majority of adults out there up to move forward with prescription drug solutions like Ritalin and Adderall to help their children conquer the mental fogginess and focus issues that ADHD brings to the table. These options are attractive for a variety of different reasons, the most obvious probably being the fact that they are so “easy” to use. After all, it really doesn’t get any more simple or straightforward than popping a pill and watching as the ADHD symptoms melt away completely. Of course, there is a price to be paid when this is the treatment chosen for ADHD. Ritalin and Adderall both have a significant amount of side effects associated with them, and though the overwhelming majority of these side effects are rather mild in nature, some of them can be described as pretty dangerous (and even potentially deadly). Obviously, your medical professional – the one that has provided you with an appropriate ADHD diagnosis in the first place – will definitely alert you to these side effects and the signs that you need to be on the lookout for to verify that something is wrong. If you notice any negative side effects, you need to discontinue use of those prescription pills immediately and then speak to a medical professional ASAP for further instructions. These aren’t drugs that you can play around with. There are also those in the scientific and medical community that are concerned about the long-term effects that these potent prescription drugs may have on a brain that is nowhere near maturity. Brains that are still developing (children’s brains) are incredibly plastic and responsive to all kinds of stimuli coming the last thing that you want to be guilty of is “poisoning” they are brain with prescription drugs that have the potential to do a significant amount of damage along the way. Understand that everyone responds very differently to these types of medication, and that there is absolutely no way to determine how your child is going to respond until they begin taking advantage of these solutions. You’ll want to closely monitor your children if you decide to go in this direction, constantly on the lookout for any and all signs that something may be wrong. You may even have to jump from one prescription medication to another to see beneficial results without any side effects along the way. There are a variety of alternative solutions that you may turn to when you are looking to cure your child’s ADHD. Many of these treatment options are holistic in nature, and you should be able to help guide your child through these treatment options all on your own with just a little bit of education – and maybe a few hours of professional training. Most of these alternative solutions can be conducted right at your home, in a space where your child feels most comfortable and relaxed, giving you the opportunity to calm and quiet their mind without overloading their senses at the same time. Guided meditation, yoga, and exercise are three of the most effective alternative solutions that you might turn to. Guided meditation is easily one of the most impactful of all the different ADHD options available to you today, and has been shown to have an almost transformative impact on children – and adults – that struggle with mental disorders like this one. Yoga and regular exercise reconnect the mind/body link, and also help to exercise and “tire out” children that are otherwise very hyperactive. This regular exercise is going to be beneficial across the board – it’s really, really difficult to “overdo” exercise at any point in time – and you will be helping to establish very healthy and very beneficial long-term habits that will serve these children throughout their entire lives. Some of the best results for those that are looking to cure ADHD in children come from combining alternative treatment options and medical/prescription treatment options, creating a hybrid protocol that works wonders. A simple and straightforward approach to treating ADHD comes from overhauling lifestyle choices and habits that may not currently be as beneficial as they probably could be, as they probably should be. Sleep habits have been shown to have a tremendous impact on ADHD and the symptoms that present themselves. Children that get at least eight hours of quality sleep (quality being the operative word here) usually don’t struggle with ADHD symptoms as much as those that get less than eight hours of quality sleep, and more in-depth research is showing just how much of an impact sleep has on the brain. Limit physical activity, shut down all electrical gizmos and gadgets (especially those that throw off light), and make sure that you stick to a regular sleeping schedule and you should be able to dramatically reduce the impact ADHD has on your child’s life. Secondly, you’ll want to be sure to improve their healthy eating habits in any and every way that you can. Increases zinc, iron, and magnesium levels to make sure that they are getting enough of these essential vitamins and minerals, boost of omega-3 fatty acid content to flood their brains with everything they need to increase cognition, and make sure that they aren’t eating an abundance of “junk food” but instead following a healthy and complete diet – especially when they are young. These last few treatment solutions for ADHD are beneficial for everyone and anyone (including adults not suffering from ADHD) to follow along with, but they can make all the difference in the world for children that are just struggling to get by.